Brothers Lake lies in the beautiful Limousin countryside in the central west region of France. Famous for its blue and white porcelain, the city of Limoges is just thirty minutes away. The surrounding area has plenty of sights to see and things to do if you can prise yourself away from the fishing for long enough. Situated in the Haute-Vienne department, the weather is warm for much of the year and can experience long hot summers on a regular basis. Perfect for a week of carp fishing in France! The lake itself lies in a conservation area and relies solely on an off-grid supply. The emphasis at Brothers Lake has been on developing a fantastic looking stock of fish in a fantastic little venue, catering more for the seasoned carp angler than the holidaymaker. There are no luxuries with regard to facilities and the focus is the fishing itself. If you like dinner cooked for you, WiFi in your swim and Sky TV when you go fishing, this may not be the venue for you. If on the other hand, you enjoy fishing small intimate venues where a little thinking and a bit of stealth makes all the difference, then there are some truly stunning looking carp to fish for. The lake also attracts a plethora of birds and wildlife to keep the nature lovers content. Amongst the species, you may see are wild boar, deer, pine martins, red squirrels, ospreys and Montagu’s Harriers to name but a few. Brothers Lake was dug in the 1950’s and covers an area of 5.5 acres. We purchased the lake in 2014 and will be opening for our first full season in 2019. Not opening the lake for the first four years has enabled us to grow on our fish in a safe environment, with no stress from angling while we develop the lake and facilities. The lake bed is composed of clay and sand, with a few areas of silt and no snags. Depths range from a couple of feet at the inlet end to around twelve feet at the dam end. The banks have been planted with a great variety of trees, shrubs and wild flowers including Willows, Birches, Common and Italian Alders, Pines, Broom, Iris and Purple-loosestrife. A natural spring which runs year round feeds the lake via a stream, providing a good, constant supply of quality water. We have five swims to choose from, so even with the maximum of four anglers present there is always a swim free to move to. Each swim is large enough for a bivvy, rods and an unhooking mat, making life easy for the angler. For those who angle stealthily, the fish can be caught from just a few feet off the bank, especially during the hours of darkness. There are no nuisance species and the crayfish will pose little or no problems while you enjoy your week of carp fishing in France. Our rules are incredibly important for the welfare of our unique stock, and our carp lake. Each angler will be required to read and sign a copy upon booking. Please be aware there are no second chances or warnings. If any member of your booking breaks the rules, we reserve the right to terminate your carp fishing holiday for the whole group with no compensation or refund. Anti tangle tubing MUST BE USED. A minimum of 18 in (45 cm) has to be used on all rods. As we have so many fully and heavily scaled mirrors, this helps to prevent their scales from being lifted. No shelf life boilies, fresh freezer baits only. No pellets or nuts. You may use small particles in moderation if prepared correctly. Our pellets can be bought at the lake, do not bring your own. Carp care antiseptic must be carried by every angler. We prefer the use of NT Labs Propolis. Radios are permitted, please do not have them blaring across the lake. You can stalk if you wish with ONE rod, however do not damage bank side vegetation in the process and other rods in your swim MUST be wound in. No fishing areas. You may not fish from the Dam wall bank or behind any roped off areas. No sacking of fish. You may keep fish in a retainer for a MAXIMUM of fifteen minutes to prepare weighing and camera equipment. DO NOT MOVE FISH FROM THE GRAVELED SWIM AREA. All weighing and photography must be done within the confines of the swim, alternatively in the water. We will not tolerate fish being carried or moved around up the bank for any reason. All fish over 40lb must be weighed and photographed in the water. Please bring waders with you. High sided unhooking mats ONLY. No metal framed cradles, no flat unhooking mats. If you are unsure, please ask us. Examples of what we allow. Trakker Sanctuary Crib, JRC High Care mat, Chub Xtra protection cradle, Fox Carp Master Cradle are acceptable styles. Please do not arrive before 1pm on day of arrival. You must be off site at 10am on day of departure. If you are early you are not permitted to wait at the gate as you will block the track for the farmers. If you are due to arrive before 1pm there are facilities in the local town. NO GLASS BEER BOTTLES. All beer should be in cans; only wine bottles and cooking sauces etc. are acceptable in glass. This is due to the strict recycling rules and the fact we don’t benefit from refuse collection. No litter, this includes cigarette butts. Please use an ashtray and then discard in the bin. No fires whatsoever. BBQ only in the social gravel area in front of the cabin not in swims. Shut gates at all times. Never leave the gate open or unlocked, even for short periods. Please keep the facilities clean during your stay, and as you found them on arrival. Please respect the locals and drive slowly down the track to and from the lake. Failure to comply with the rules after signing a copy to confirm you understand them will result in the loss of your security/breakages deposit. Recycling: there are three different bins provided. Bin 3: GENERAL/FOOD WASTE IN BIN LINERS. Do not put waste into bin 3 without a bin liner. Brothers Lake relies solely on an off grid system to provide anglers with basic but ample facilities for use during their stay. Solar panels provide power to the cabin for a bait fridge, lighting and USB charging point for mobile phones or tablets. There is also a toilet, hand basin and hot shower heated by a gas boiler. The taps are operated by push button design fittings which prevent them being accidentally left running. The lighting is also set up on movement sensors to avoid lights being left on and draining the power. There is no drinking water at the lake however we provide every angler with five litres of bottled water on arrival so that you have some to start your week. The nearest shops to buy more bottled water from are less than ten minutes away in the local town. if it’s wet during your stay. Vehicles cannot be driven around the lake, however there are two wheelbarrows available to help get your carp fishing kit to your chosen swim. The local town is ten minutes away and has everything you will need. There are two large supermarkets both with fuel stations and a further two or three smaller convenience stores. The town also has two or three bar tabacs and plenty of smaller shops such as bakeries and butchers shops. Should you need it there is also a pharmacy and hospital in the town centre. This entry was posted in Carp fishing, france and tagged Brotherslake, carpfishinginfrance, fishinginfrance, france. Bookmark the permalink. And after spending the first day of your holiday reading all the rules you might be able to then relax. Ridiculous. If the owners are this strict I expect there will be some balif/employee watching your every move to make sure you don’t use a length of rig tube 1inch short. Then they can kick you off with no refunds. I’ve heard about these places. Jokers. 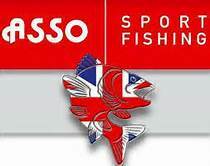 Hi Keith, having been over to France a lot some years ago and watch other anglers. If I had my own lake with these restriction, as there are certainly a lot of them that need a lesson in carp safety and rig safety. Personally I always read the rules before booking and if I can’t get on with them I don’t go, which apply a to lakes in this country as well. Fish welfare is always paramount. Less rules in a prisoner of war camp! In the syndicate I fish common sense rules. Sounds like these people like the idea of opening to the public to make money but then want to make it as difficult as possible to have a good time. That says clearly you will get kicked off for using the wrong litter bin! No refunds! It’s not all about fish welfare in those rules. This place won’t last long!